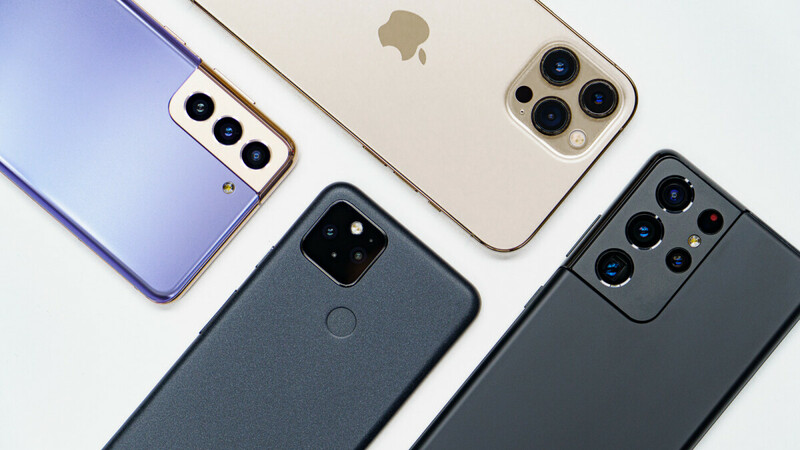 2018 will see tons of new phones. Many of these phones are new flagships and have a ton of features. But which phones are they? Check out our list of the Top Upcoming Smartphones in India. From Samsung to Google and Apple to Nokia, everyone has put all hands on deck to bring a better smartphone than the other. Companies are evolving their cameras, screens, hardware and what not for the perfect smartphone. Well, we have selected ten smartphones that are noteworthy to look out for in this year. So let’s get down to the Top Upcoming Smartphones in India. Let’s start the top upcoming smartphones in India list with Nokia. Nokia famously ditched its own way and got into the Android track. The phone has been doing reasonably well as Nokia patrons flocked to see their beloved brand don a new look. Well, Nokia isn’t stopping there. After the Nokia 9, Nokia has decided again to take the route well taken and has decided to don a notch. The Nokia X6 which features a 5.8-inch display sports a notch in the display. The front has very thin bezels and the screen has a very good viewing angle too. Though the screen cannot be called the sharpest, the screen is fair enough to binge on. The Snapdragon 636 SoC powers the phone and is comes with an octa-core CPU. There is also 4GB/6GB of RAM, with an internal storage of 32 or 64GB. You can expand the storage up to 256GB via a microSD card. Apart from the screen, the camera is also a very interesting aspect of the phone. The dual rear camera consists of one 16MP sensor with a 5MP sensor. The camera also has a few tricks up its sleeve. The AI-portrait and scene recognition is inbuilt, and the front-facing 16MP camera has some neat features like AI selfies with background blurs, stickers and face unlock. The phone is juiced up by a 3060 mAh battery that supports Quick Charge too. 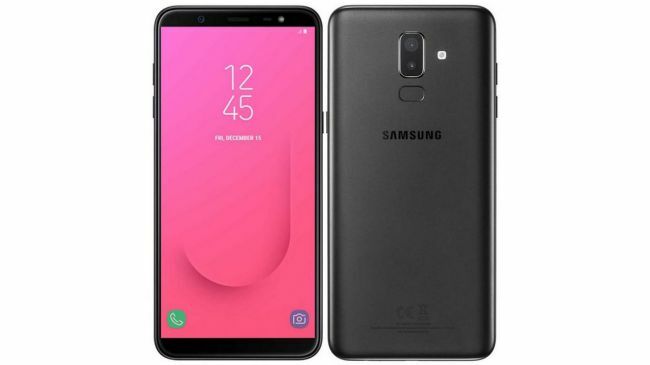 After the A8+, the Samsung Galaxy J8 is yet another mid-range smartphone from Samsung. The J series from Samsung has always found its way into the top upcoming smartphones in India list almost every year. The phone sports a 6.0” screen that runs on the latest Android 8.0 software. The screen has a pixel ratio of 720 x 1480. The phone is not just about the screen, though. An Octa-Core A53 processor powers the phone and the 4GB of RAM accompanies it. The phone is juiced up by a 3500 mAh battery, and thus can guarantee you a long battery performance. The rear camera is 16MP and is also accompanied by many top features as well. The phone also has an Adreno 506 GPU, and so even graphics intensive games can run smoothly without any hiccups. There is also a 64GB of storage on board while you can push the memory to 256GB. Apple is also coming on board with a new release. After the big Apple X ratio, now everyone wants to see a boot to an older phone, but still with the gorgeous all display front. And that is exactly what the iPhone SE 2 is about. The SE 2 is also a budget phone from Apple. The original iPhone SE was a huge hit and had a wide audience. And now with the advancement in technology, users expect a much better version of the same phone. Though we know nothing about the specs or technical details, we can expect the phone to be out by September of this year. The phone might come out at a price of $450, and will also be one of the more cheaper products from Apple. 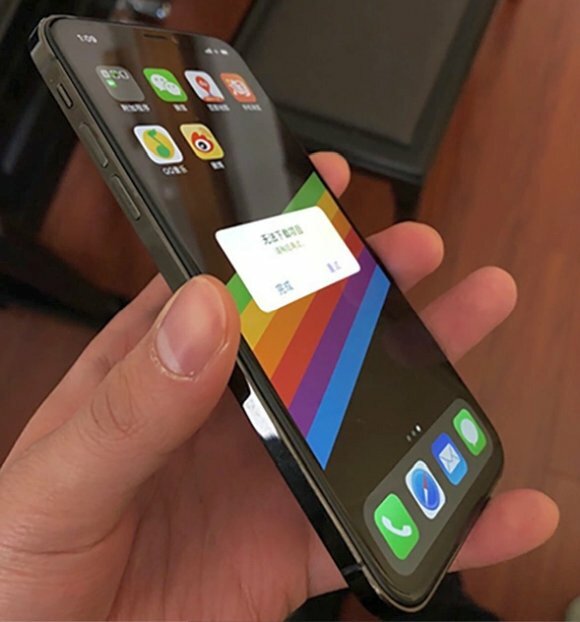 When coming to the design, though we can’t confirm what exactly it might look like, leaks and reports suggest that the front might be borrowed from the Apple X, but without the notch. But though we have very limited information, we can’t fully lean on a particular concept or design. But we can be sure that the iPhone SE 2 would stand out from the rest of the top upcoming smartphones in India. When coming to the Redmi 6, there is no need for any guessing as the company in itself has confirmed via a poster. The poster showcased the front of the phone in all its glory. Along with the Redmi 6, the company might also to the Redmi 6A and the Redmi 6 Pro. The successor to the Redmi 5, the Redmi 6 features a full-screen design with an 18:9 aspect ratio. There is no notch, but still, the phone manages to pull off a very professional bezel-less look. Though this is still an entry-level device, the phone has a ton of features fit for a flagship. The Redmi 6 sports a single front facing the camera with an LED flash to help capture good quality worthy selfies even in a low light. The company claims that the phone can provide a smooth performance even after a few months of use. That seems to be true when coming to the specifications. The phone has three configurations. The phone comes in 2GB RAM with 16GB storage, 3GB RAM with 32GB storage and also 4GB RAM with 64GB storage. The Asus Zenfone 5 amazingly found its way into the top upcoming smartphones in India list. And for good reasons. It won’t be an exaggeration to call the Asus Zenfone 5 an iPhone X rip off. The phone looks very similar to the phone, especially the all screen design. But this phone can also be seen as Asus effort to get back to the business. The Asus Zenfone 5 carried a huge emphasis on camera performance and AI. Along with the Zenfone 5 also comes other phones namely the 5 Lite and also the 5Z. The Zenfone 5 comes with a Snapdragon 636 along with 6GB of RAM. The screen ratio of the phone is 19:9. The Zenfone 5 comes with a much more powerful processor, and the Lite version comes with a more lighter processor. The focus of the whole 5 lineups is the emphasis on Artificial Intelligence. AI is inbuilt not just into the UI, but also the camera. Artificial Intelligence now takes care of the more important and core functions like the battery, storage and also to check how the phone is doing and to give kind reminders from time to time. AI controls the ringtone volume. Asus also went ahead and released its own version of the Animoji called the Zenmoji, that you can, of course, add with various stickers and filters too. Out of the top upcoming smartphones in India, the Pixel 3 is the most noteworthy phone. Google is coming up with a successor to the Pixel line. And rumours suggest that this new pixel would be very different from its predecessors. Now that Google has its own design team, they may shake things up and bring about a drastically different look to their phones. Google would also like to correct the mistakes that the Pixel 2 brought about. And with Google’s I/O too with many announcements especially with the mobile platform, we can say with confidence that the new Google Pixel 3 would be off the charts. As the trend, Google will bring out the the Pixel 3 October. And yes, the most interesting announcement is that the Pixel 3 would be the first phone with the official version of the Android P. Does that mean that we would have to wait till then for the official version? It seems so. There are also other rumours right now that the Pixel 3 might sport a notch, but we are not that sure about that. But for now, we know that the Google Pixel 3 would be filled with specs and extreme hardware enhancements. The Moto Z3 can very well top the upcoming smartphones in India list. The Moto Z3 is the next flagship of Motorola. The phone features a 6” screen with a gorgeous 1080 x 2160 pixels. The phone runs on the latest Android v8.0 operating system. An Octa-core, 2.2 GHz and Cortex A53 processor power the Moto Z3 and comes in the company of 4GB RAM. There is a 16MP camera on the rear, but we are not sure about the front-facing camera. There is also an Adreno 508 GPU to help graphics intensive games run better and smoother. On board is also a 32GB internal storage with an option to extend it up to 2TB. The Samsung Galaxy Note 8 was one of the best selling phones of the company, and for an apt reason. It’s amazing to see the features it provides and the amount of power the user gets to create the content. This time, Samsung has decided to mix things up a little. The Galaxy Note 9 now will feature a horizontal camera set up that was seen on the Note 8. But don’t worry, the fingerprint sensor would be in a very sensible and accessible location. But why? The battery. Samsung has decided to boost up the camera further to accommodate more screen time. The present battery set up now allows for the vertical camera set up. By placing the camera unit horizontally, the makers have created more internal space for the battery. And you ask us, but we think that this is a huge selling point for the phone. The Huawei Mate 10 Pro took the World by storm. The camera, the technology and the features were what everyone wanted. And Huawei seems to be backing on that. Huawei has been developing the Mate range for a very long time now, and it seems that the company has mastered it. The phone is expected to be released in October of this year. We have no hints on the specs and features, and that should be of no surprise. Huawei has always been careful with leaks, and this time is again no exception. But what we do know that there is a huge boost when coming to the camera and battery. You can expect the phone to cost under $799. Though no leaks have been made, a new, faster and powerful CPU is expected and also a complete design overhaul is expected too. The LG V40 is the most powerful phone that has come out of LG in a while. While the predecessors of the V range had some experiments made, the V40 is sticking to the basics and is bringing out some really awesome features. The LG V40 might be using an OLED display, and how do we know that? Well, the company itself announced that. There are also much more that can be expected from the company. The phone might be powered by a Qualcomm Snapdragon 845 processor, and the processor guarantees great performance when it comes to the overall UI, camera, battery life and much more. The V40 is likely to release in September. Though we don’t have an exact date, September might be the perfect time to release this. The phone might carry a price tag of around $900 to $1000. So, what did we gather from these Top Upcoming Smartphones in India list? Companies are pining for the best phone slot, and everyone is doing their best to improve already good features. Companies are done with playing with new designs. They have all locked on one particular design, as you can see here too, and everyone is working towards that. But which one will be a true success out of these top upcoming smartphones in India? It’s up to 2018 to find out. I am working in mobile shop in spain.We have Samsung mobiles from European Union as well as Asian. If we talk on specific model there is no difference in their characteristics & specifications.The question I have I mind is- is there any difference in any other aspect of mobile for exa quality of components? To make my stand clear for exa J5 (2016) Asian origin is anyway diff from J5(2016) European origin?